안녕하세요 갈보리 교회 7-8학년 중등부에 오신 것을 환영합니다. 중등부 사역의 비전은 모든 학생이 하나님과의 만남과 말씀을 통해서 하나님과의 진정한 관계에 대한 중요성을 이해하도록 하는 것입니다. 함께 모여 예배 드리고 말씀을 공부하고 교제를 나누면서 하나님과의 만남이 이루어지기를 기도합니다. 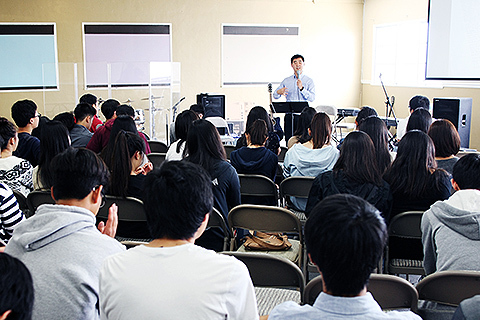 Hello and welcome to the Junior High Ministry of Calvary Korean Church! The Junior High group welcomes students who are in the 7th and 8th grade. The vision of our ministry is that each student will understand the importance of having a real relationship with God. This relationship will be based on a genuine encounter with God and a focus on building this relationship through the Bible. Students can expect to be taught the Bible as we go over chapter by chapter and the importance of fellowship as we gather and worship together. Please join us for the following weekly activities. 9-12학년의 고등학생을 대상으로 하는 고등부에 오신 것을 환영합니다. 고등부 사역의 초점은 학생들이 대학 진학을 위해 집을 떠나기 전에 하나님과의 신실한 깊은 관계를 맺고 하나님의 말씀으로 굳게 설 수 있도록 하는 것입니다. 그러기 위해서 고등부에서는 매주 말씀을 읽고 기도하기를 격려하며 예배에 적극적으로 참여하고 교회와 지역사회 봉사를 통하여 서로를 사랑하도록 사역하고 있습니다. Welcome to the youth group high school ministry. Our group consists of high schoolers 9th to 12th grade and our main focuses are for all students to have 1) a deep and faithful relationship with Jesus Christ and 2) a strong foundation in God’s Word before they leave for college. That is why we encourage our students to spend time reading the Bible through weekly devotions. 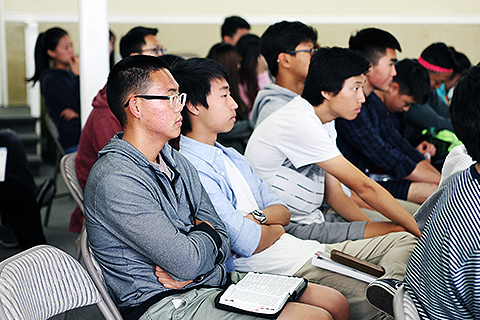 We also promote our students not to be mere spectators but active participants in worship and to love one another through serving each other, the church, and the community.